The Nissan Titan full-size pickup truck squares off against established competitors from Detroit. 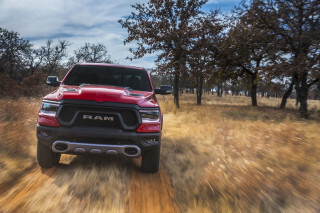 It's a rival for the Ford F-150, Chevrolet Silverado/GMC Sierra, and Ram 1500—although the Nissan doesn't sell in nearly the same numbers. The Titan's appeal is a longer warranty than all three. 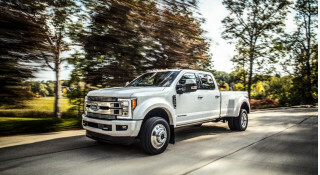 The Titan is built in the company's Canton, Mississippi, plant, and it has historically shared running gear with Nissan's full-size Armada SUV as well as a few pieces with the mid-size Frontier pickup. A new Titan XD, a truck that fits between light-duty and heavy-duty offerings, was introduced for the 2016 model year, and a new light duty Titan arrived for 2017. In 2019, the Titan added Android Auto and Apple CarPlay capability. The first of the new Titan models was shown at the 2015 North American International Auto Show in Detroit. The 2016 Nissan Titan XD was extensively engineered and completely redesigned, with the star of the lineup being the available 5.0-liter Cummins turbodiesel V-8 making 310 horsepower and 555 pound-feet of torque. With the right equipment and the diesel engine, the XD can tow up to 12,000 pounds, putting it somewhere between the capability of a half-ton and a three-quarter-ton truck. A new 5.6-liter Endurance gasoline V-8 also is offered for the XD, putting out 390 hp. Thus far, the V-8 is the lone engine in the light duty Titan, which was new for the 2017 model year. The light duty Titan builds upon the platform of the first-generation truck, but its ladder frame is strengthened with additional gussets and it gets hydraulic body mounts to reduce vibrations. These changes pay off as the Titan offers a controlled ride, without as much jiggle and bounce as most rivals. Topping out at 9,790 pounds, the light-duty Titan can't tow as much as the competition, though. The Titan's available rearview camera has guides that help with hitching a tow vehicle to the truck. Surround-view cameras, blind-spot monitors, rear cross traffic alerts, and front and rear parking sensors are available. Trailer sway control and an integrated trailer brake controller are offered to enhance safety while towing. All Titans are offered in S, SV, Pro 4X, SL, and Platinum Reserve models. 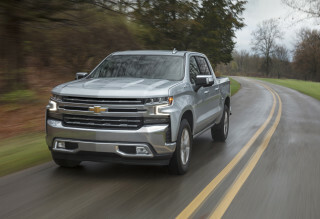 Thus far only Crew Cab and Single Cab body styles are offered; a King Cab with a smaller rear seat than the Crew Cab is due by the end of the 2017 model year. The Titan Crew Cab has a 5.5-foot bed, and the Titan XD Crew Cab a 6.5-foot bed. All Single Cab models have the standard 8-foot pickup bed. Newly offered features include in-bed lighting, a factory gooseneck setup, Titan Box lockable bedside storage, LED bedrail lighting, and the latest infotainment features in the completely redesigned and modern interior. 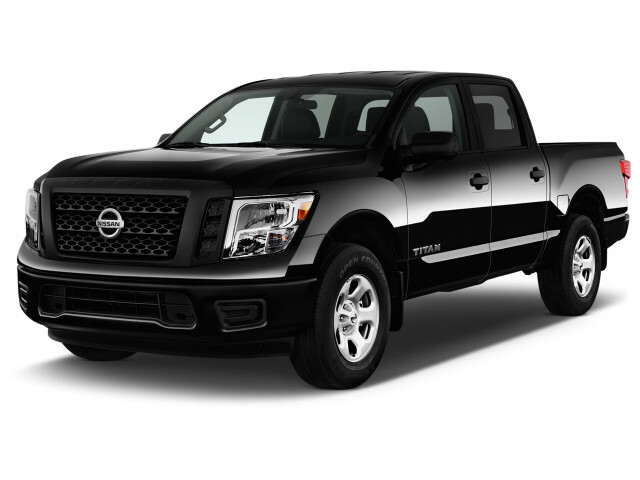 The Nissan Titan changed little since it was introduced as a 2004 model. It was sold in just a single powertrain configuration. Through its run, it remained a good-looking truck. The first Titan took a nod from Nissan's SUVs with its masculine blend of lines and curves, its flared fenders and its big, bright chrome grille. The cabin didn't age as well as the sheet metal. While most rival large pickups—especially those from the U.S. automakers—targeted work use and company fleets, as well as personal use, Nissan focused only on personal and recreational use for the Titan. The Titan never came in a stripped-down base model, nor in a heavy-duty edition; focused models aimed instead at off-roading and towing. The sole powertrain offered from 2004 to 2014 teamed a 5.6-liter V-8 engine with an automatic transmission. That V-8 originally made 305 hp and 379 lb-ft of torque—upgraded to 317 hp and 385 lb-ft in 2007. At the time of the Titan's 2004 introduction, that combo made it one of the fastest, most powerful standard-equipment trucks. However fuel economy was unimpressive, in the low teens on the city cycle. With its responsive 6-speed automatic transmission and either rear- or four-wheel drive, this Titan powertrain was positively quick, and handling was good. Road noise was more accentuated than with other full-size trucks, though, and the rumbly, ever-present nature of the engine didn't suit everyone. The Titan's biggest change came in 2007, when Nissan introduced long-wheelbase models for the first time. That allowed many more build variations, and at the same time, payload capacity was increased. Titan models could then tow up to 9,500 pounds. Most Titans receive a factory spray-in bedliner, and Nissan offered some unique storage options like the cleated tie-downs that slid up and down tracks to secure a small, heavy object like an engine block. Other truck manufacturers adopted forms of those features since. The first Titan offered configuration choices similar to those of the other big trucks, though not quite as many. Beds came in 6.5- or 8-foot lengths. The King Cab was what most refer to as an extended cab, while the Crew Cab was a true four-door with plenty of room for adults in the rear. It proved comfortable inside, with convenience features being added over the years and including items such as a DVD entertainment system, satellite radio, and Bluetooth phone connectivity. Safety wasn't the Titan's forte. It achieved less-than-optimal results from both major crash-test organizations, though electronic stability control was standard for many years and was optional when the Titan was first introduced. The Titan changed very little as it neared the end of its run. In the 2013 Titan Nissan freshened the look of the off-road-themed Pro 4X. At the same time it gave all Titans a new tailgate design, with a few other minor appearance changes, and made the navigation system (with a USB port and satellite radio) more widely available. My ‘17 Titan SV averages 17.1 MPG driving back roads with moderate by moving traffic daily to and and from work. Towing a pontoon boat is no problem as far as power and the Titan handles very well with that... My ‘17 Titan SV averages 17.1 MPG driving back roads with moderate by moving traffic daily to and and from work. Towing a pontoon boat is no problem as far as power and the Titan handles very well with that load. Style - when lunch time comes a bunch of us carpool to a local spot and they ask me to drive. Everyone has said the truck is comfortable for 3 adults in the back and 1 passenger in the front beside the driver. I’m 6’5 so my seat is slid way back; another 6’+ person can sit behind me comfortably.